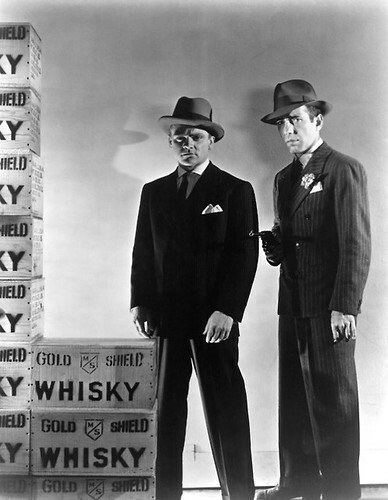 James Cagney and Humphrey Bogart run a bootlegging empire in The Roaring Twenties. The Stars: James Cagney; Humphrey Bogart; Priscilla Lane; Gladys George; Jeffrey Lynn and Frank McHugh. Source Material: The short story, The World Moves On, by newspaper columnist Mark Hellinger. 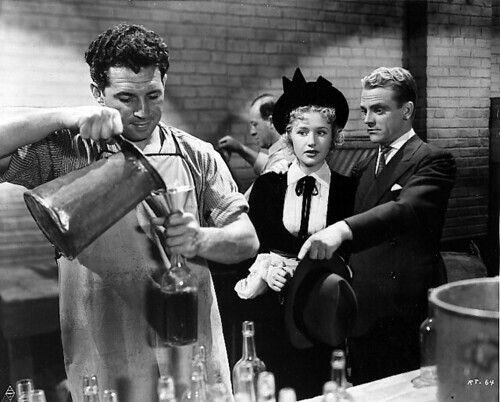 James Cagney shows off his bootlegging empire to Priscilla Lane in The Roaring Twenties. Awards: One of the National Board of Review's top 10 films of 1939. The Plot: Three World War I veterans (Cagney, Bogart, Lynn) come back to a changed world after their service in Europe. One by one they fall into the bootlegging business while Cagney and Lynn battle for the affections of an attractive singer (Priscilla Lane). James Cagney and Humphrey Bogart have words while Gladys George looks on in The Roaring Twenties. Backstory: Jack Warner always prided himself on making socially relevant films, so it's no surprise he hired well-known newspaper columnist Mark Hellinger to write screenplays for the studio. Hellinger, who was a popular columnist at the New York Daily News, based his first screenplay on his time covering New York's criminal class during Prohibition. Hellinger claimed that all of the characters and situations in The Roaring Twenties were based on real experiences he covered. Certainly, Panama Smith (Gladys George) is based on the real-life speakeasy hostess, Texas Guinan, who greeted thirsty customers with a friendly, "Hello, suckers!" A vintage poster from The Roaring Twenties. Best Performance: Gladys George as "Panama Hattie" Smith. This was a tough one because The Roaring Twenties is filled with fine performances. Cagney is charismatic, Bogart is magnificent and the always underrated McHugh is funny and charming, but I'm going to remember the ladies and give it to George. Many other actresses were considered to play Panama, but George is the perfect choice. She's brassy and sassy, but also kind-hearted, vulnerable and deeply in love with Cagney's character. Best scene: The last scene is one of the most memorable in gangster film history. 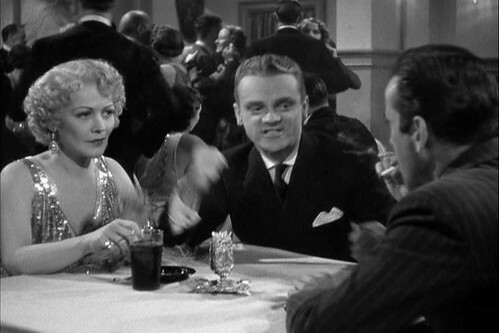 Best Line: "He used to be a big shot," Panama (George) talking about Eddie Bartlett (Cagney). The Great Gatsby vs The Roaring Twenties: The Roaring Twenties isn't an exact retelling of The Great Gatsby, but I certainly think that Hellinger and the other screenwriters drew inspiration from F. Scott Fitzgerald's classic novel for the film's plot (Gatsby was not as widely read in the thirties as it is today). Both film and novel concern a World War I veteran who becomes an exorbitantly rich bootlegger during prohibition (both Jay Gatsby and Eddie Bartlett are partially based on a real-life bootlegger and gangster named Larry Fay). The doomed romance angle is also strikingly similar with the Eddie-Jean-Lloyd love triangle in The Roaring Twenties being an almost exact stand-in for the Gatsby-Daisy-Tom love triangle in the novel. 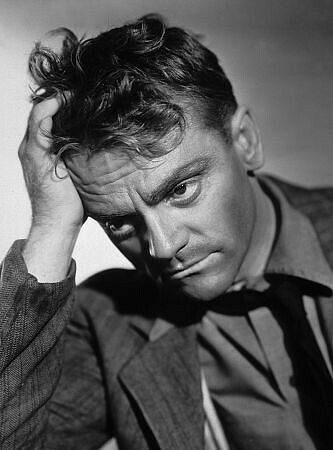 James Cagney goes from bootleg king to down-and-out drunk in The Roaring Twenties. Bogart and Cagney: Warner's two greatest stars appeared in three films together in the late thirties: Angels with Dirty Faces (1938), The Oklahoma Kid (1939) and The Roaring Twenties. At the time, Cagney was Warner's biggest star, only rivaled by Errol Flynn and Bette Davis, while Bogart was a lowly contract player mired in B pictures and supporting roles. The duo play dedicated frenemies in each film, and they have one of the great antagonistic screen partnerships in old Hollywood. 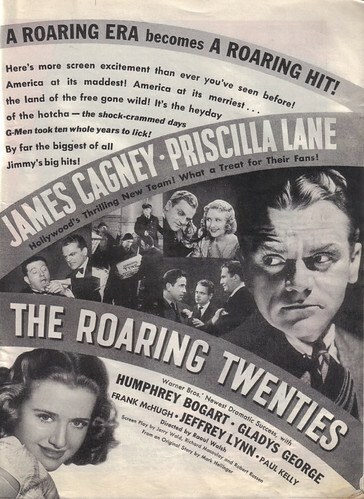 Fun Fact: There was a lot of ad-libbing on the set of The Roaring Twenties, according to Cagney's autobiography. Cagney remembered the shooting script as being unusually bland and boring, so he, McHugh and the rest of the cast collaborated with director Walsh to spice things up. Cagney choreographed some added oomph to the fight scenes and McHugh devised some comic dialogue for a World War I trench scene. Bogart got the best of the lot with several sardonic one-liners ("I always say when you got a job to do, get somebody else to do it"). 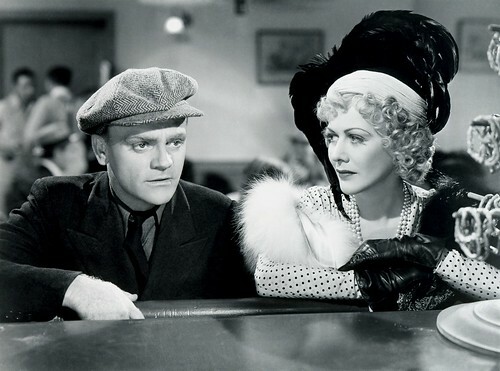 James Cagney and Gladys George in The Roaring Twenties. Why it's essential: The Roaring Twenties is one of my favorite films and one of the best gangster films produced at Warner's. The acting is first-rate, the historical detail is spot-on and the direction by Walsh is sharp and effective. There are some minor quibbles: the film is too long (they could have trimmed a few of the historical montages) and too much attention is given to the Cagney-Lane-Lynn love triangle. I've never understood Priscilla Lane's appeal -- she's an average singer and actress who is swimming way out of her depth opposite Cagney, Bogart and George -- and Jeffrey Lynn's character might as well be named the guy nobody cares about. Nevertheless, The Roaring Twenties is a seminal film in the gangster genre and one of Cagney and Bogart's best films. Availability: The Roaring Twenties is available on DVD and video on demand. Next week, Bette Davis gets a large dose of prognosis negative in Dark Victory.